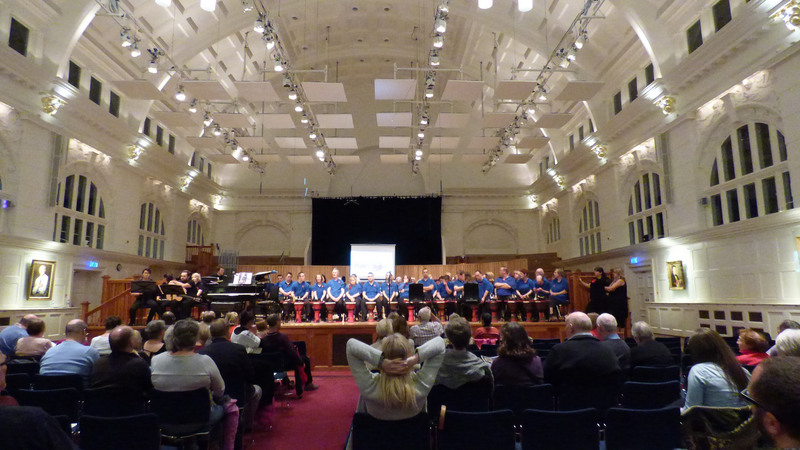 Back in the Spring of 2016, our Musical Director David Stanley began negotiations with the prestigious Royal College of Music about working in partnership to tutor new students with learning disabilities in the London area but also to educate th college’s under-graduates and graduates in an attempt to produce new tutors interested in and capable of running their own music sessions for students in other parts of the country. 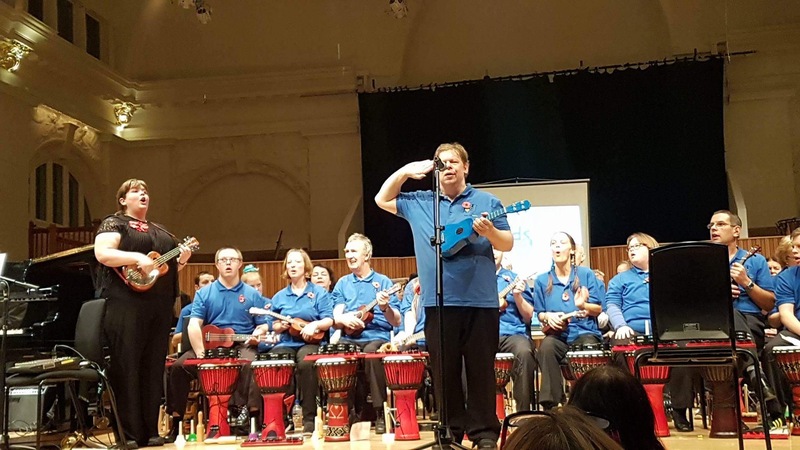 This came about as a result of regional director Natalie Bradford’s link to the college as she is currently studying for her PhD there into the effects music has on people with learning disabilities. Fast forward to the end of 2016 and David, Jenny and Natalie have not only delivered a few workshops at the college but the college also opened their doors wider to allow for our students to perform a concert in their wonderful venue on Sunday 13th November. 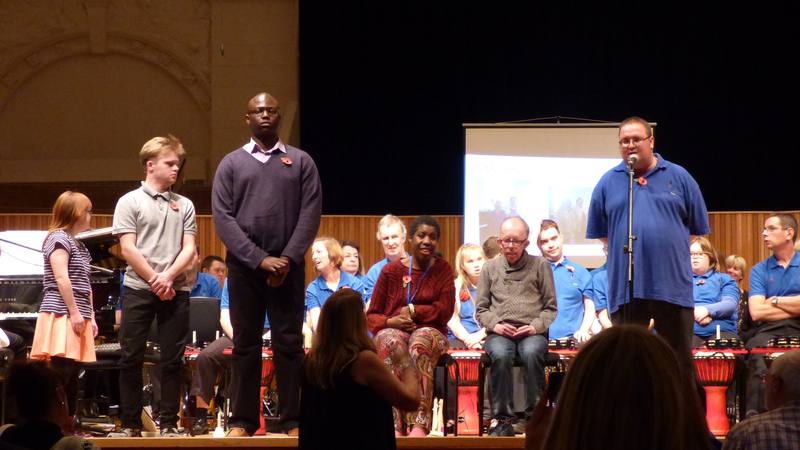 The additional plus about this concert was that we were also able to include another workshop session before the show for a new group of London students with learning disabilities, who then took part in the concert later in the evening. The concert featured a good number of our Music Man students, the new London students and several of Natalie’s students from her Maldon group performing alongside the Music Man Community Choir, Sussex Regional Director Leisa Jones on trombone, Jemma Andrews on trumpet and a few of the Royal College of Music’s students who formed a wonderful small band to accompany David and the Music Man team throughout the concert. 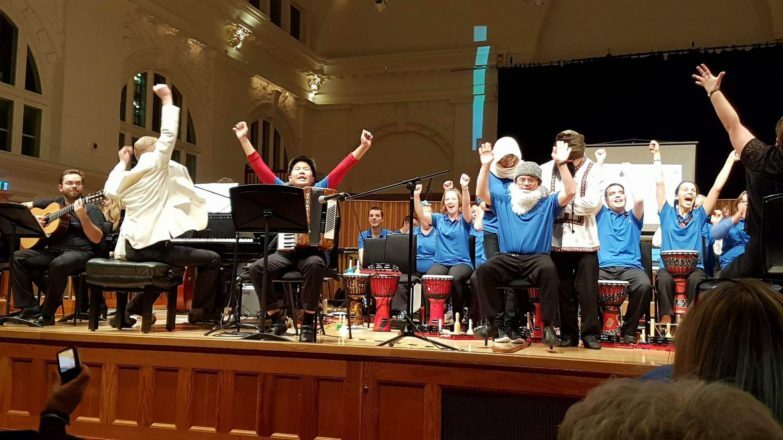 We were also very pleased to welcome back David Mac, the young autistic lad from Woodford with such a talent for playing the piano and he again wowed the audience with his own jazz piece and then later doubled up on the accordion to support the Russian Way piece. Quite simply a wonderful concert showing such a wide diversity of people all coming together to both support and compliment our students in delivering a brilliant performance.